First, the latest on the threat: More than 147,000 pounds of raw turkey products from Jennie-O Turkey Store Sales LLC have been recalled after some products tested positive for a salmonella strain associated with an outbreak linked to raw turkey products, according to the U.S. Centers for Disease Control and Prevention. The recalled Jennie-O Turkey products were shipped nationwide, and samples with salmonella were produced on Sept. 11, 2018. The salmonella outbreak linked to raw turkey products began in November 2017, and so far there have been 164 cases of illness in 35 states. One person in California has died and 63 people have been hospitalized, the CDC reported. So far, investigators have been unable to pinpoint a particular source of the salmonella-contaminated raw turkey, and "it might be widespread in the turkey industry," the CDC noted. That's all a bit scary, and of course the best way to avoid getting ill is to avoid the recalled brands (see link below). But one emergency department physician who sees lots of cases of severe food poisoning says cooks can take steps to eliminate the risk. 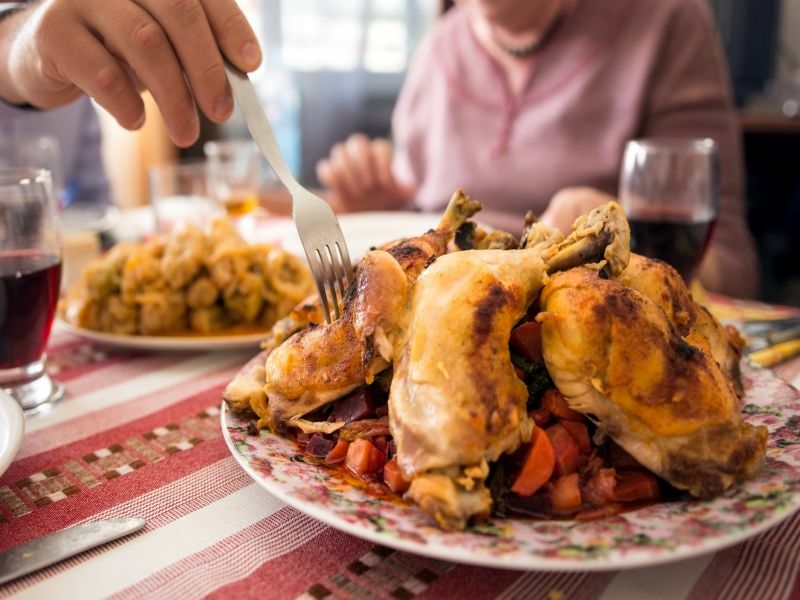 First, "salmonella can be spread from one person to another, so it's vital to wash your hands before and after preparing or eating food," said Dr. Robert Glatter, who practices at Lenox Hill Hospital in New York City. "Always remember to thoroughly wash hands, cutting boards, countertops, and utensils with warm, soapy water after they are in contact with raw turkey," he added. "It's best to use a separate cutting board for raw turkey and any other raw meats, to prevent cross-contamination." When thawing your Thanksgiving bird, do it in the refrigerator, the microwave, or in a sink where cold water is changed every half-hour, Glatter said. "Do not thaw your turkey by leaving it out on the counter, since this can be a quick way to spread bacteria such as salmonella," he said. During the cooking process, "it's important to cook raw turkey thoroughly to kill harmful bacteria such as salmonella," Glatter explained. "Whole turkeys, ground poultry, turkey breasts, and turkey burgers should always be cooked to an internal temperature of 165-degrees Fahrenheit to kill harmful bacteria." That temperature guide holds true for reheated leftover turkey, too, he said. To be certain, use a meat thermometer inserted into the thickest part of the turkey. "It's important to refrigerate all leftovers at 40-degrees F or colder immediately, but also within two hours of preparation to reduce the risk of food poisoning," Glatter said. Besides salmonella, another important bacteria to be aware of that may cause food poisoning is Clostridium perfringens, he said. "These bacteria can flourish in cooked foods that are left out at room temperature, and are the second most common bacterial cause of food poisoning. People can develop abdominal cramps along with nausea and vomiting six to 24 hours after eating," Glatter noted. "Outbreaks of Clostridium perfringens occur most commonly during the winter months, especially November and December," he said, and "have been associated with foods often prepared during the holidays such as turkey, as well as roasts and other slowly cooked red meats."